What is it that makes someone outstanding at what they do? Are they born with a special gene that predisposes them to become outstanding? 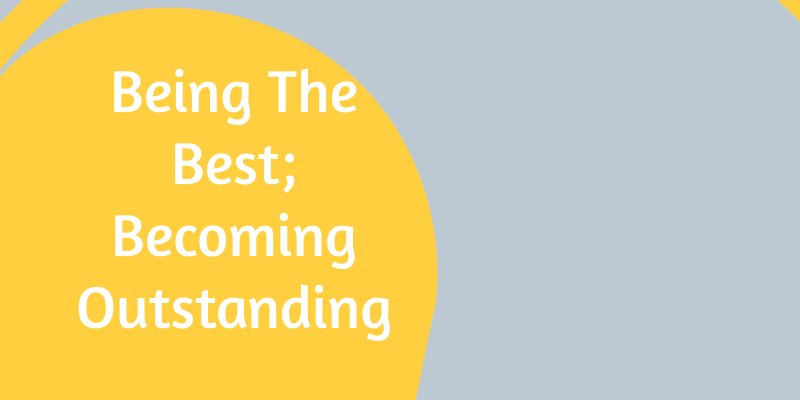 Or have they worked at being the best and this has lead to them to become outstanding? Anyone who is at the top of their chosen field has put in a lot of work to get there. They have become experts. Are these experts outstanding at what they do? The sporting world is a place where we can find examples of those who have become exceptionally good, i.e. outstanding at their sport. Venus and Serena Williams have been playing tennis from a very young age. In an interview given by their father when they were young, he said his daughters were going to win all the major tennis grand slams. This was even before they started competing. What gave him this confidence in his daughters? Did he see a natural talent in them for tennis? Or did he say it with such conviction that both Venus and Serena started to believe him? Which, in time lead them to not only believe him, but also started to believe what he was saying. He was even asked which one of his daughters would be a better tennis player and without hesitation he said Serena. He admitted Venus was very good, but he also said Serena wanted it more. Tiger Woods picked up his first set of golf clubs at the age of 3 and doesn’t seem to have put them down since then. He worked on being the best golfer in the world with endless practice sessions in all weather conditions. His mindset was one that told him he was going to be the best golfer in the world, rather than hoping to be the best golfer in the world. Michael Schumacher practised his driving skills on the track. He and the team looked at the telemetry information after each practise session and race. From this, they learnt and understand how the car performed and what improvements could be made to get a better performance. Together, they made the car perform minutely (as in tiny) better each time. It’s these minute improvements that made them the best team in Formula 1 for years. The team as a whole all had a common purpose, which was to win everything. They wanted to win races, along with the constructor’s and driver’s championship. This meant each member of the team had their part to play to get the best performance out of the car and the driver. There is an obsession people have when their aim is to be the best. In some, it shows itself as arrogance; in others, it comes across as being anti social. People from the outside looking in may say they only got to where they did because they were lucky or because they were born into the right family. Being born into the right family certainly helps open doors. 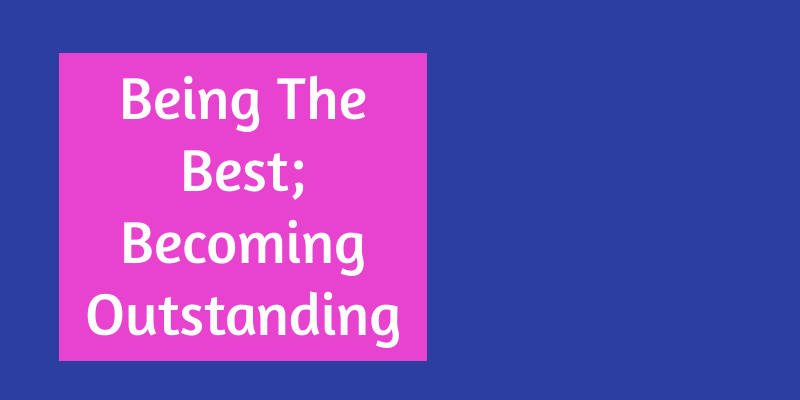 But to get through, you would have to be consistently good, in an effort to become outstanding. Look at anyone who you think is lucky, and you will see they have spent a lot of time preparing and practising, to the point that when an opportunity comes their way they are able to grab it. In actual fact, what they did was ensure they were the most prepared and when people were looking, they were ready with a solution. 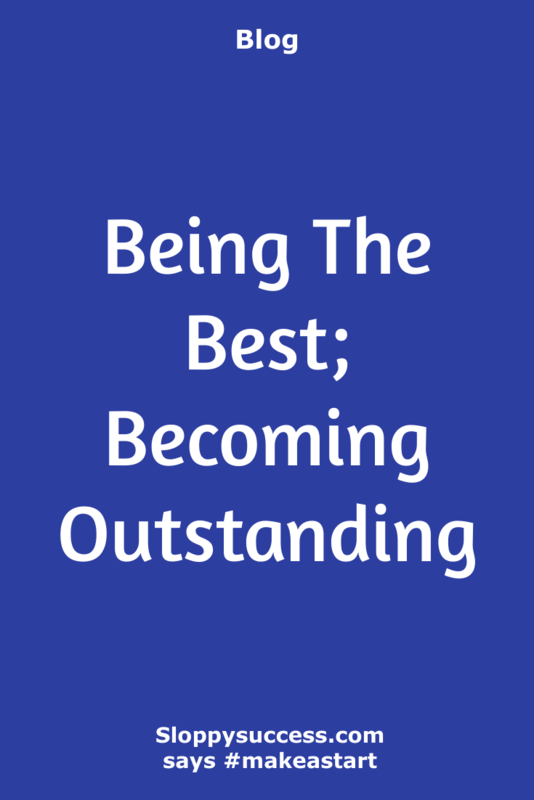 Anyone who is at the top of their field has worked at being the best, and being the best can lead to you becoming outstanding. Getting to be the best takes a lot of dedication, persistence and consistency. Going from the best to outstanding will require even more dedication, persistence and consistency. When others give up, you keep going; when faced with challenges, you find ways to overcome them. You look for small incremental improvements that end up propelling you further than you can imagine. It is a path only a few are willing to take and it is the last man standing that gets the prize at the end.